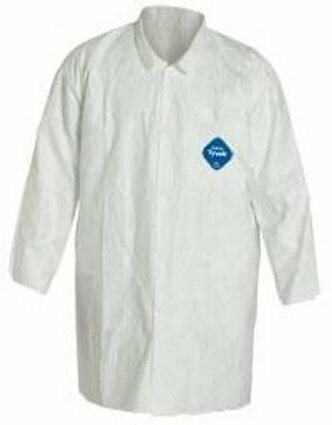 Dupont Tyvek TY212S Lab Coats provide enhanced frontal protection with mandarin collar designed to fit tightly around hooded PAPR. 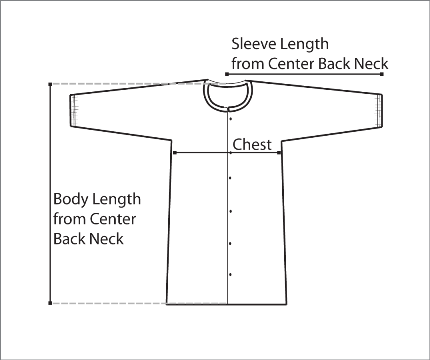 Tyvek garments are composed of flash spun high density polyethylene which creates a unique, nonwoven material available only from DuPont. Tyvek fabric offers an inherent barrier against particles and protection is built into the fabric itself - there are no films or laminates to abrade or wear away. 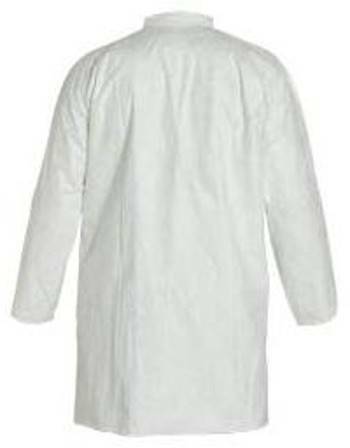 Labcoat offers front snap closures for easy donning and doffing. Mandarin collar designed to fit tightly around hooded PAPR. Two front pockets for holding writing instruments, small tools or parts. Case Count: 30 per case.